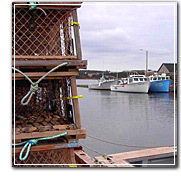 The Prince Edward Island Fishermen’s Association (PEIFA) was originally formed in the early 1950’s to enable Island fishers to discuss the effects of a proposed trap limit. While holding community meetings across the Island to discuss the issue, fishers soon realized the need for a representative group to express their concerns to government on a host of industry issues.They also recognized the benefit of an organization through which they could communicate between themselves, their communities and with fisher organizations in other provinces. The primary objective was to approach the federal government with one, united voice. In the early 1970's the Association participated in a federation of fishers, processors and government called the PEI Fisheries Federation. In 1979 the Association voted to opt out of the Federation, detaching itself from government grants and becoming financially self-sufficient. At the time the PEIFA had a total of 691 members. In 1982 the Association was incorporated. 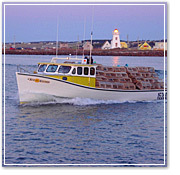 The By-Laws of the PEI Fishermen’s Association Ltd. were amended in 2007. The Board of Directors is now comprised of 12 members (two from each Local), and a President chosen from the board members by a vote by the delegates to the Annual General Meeting. The Executive Committee, consisting of a representative of each Local, has a Vice-President, 1st Vice President, 2nd Vice-President, 3rd Vice-President, Treasurer, and Secretary as well as the President. The Board meets a minimum of 10 times per year. A convention and annual general meeting of the association is held each winter and may be attended by any member in good standing. All members in good standing may vote on all issues. 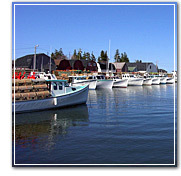 In 2004, the provincial government passed into law The Certified Fisheries Organizations Support Act. The PEI Fishermen's Association is the only organization to meet the criteria of the Act and, as such, is now recognized as the representative organization for all core fishers in the Province of Prince Edward Island. To become a member of the PEIFA, an individual must be recognized as a core fisher in accordance with the Department of Fisheries and Oceans (DFO) designation. The annual membership fee to the Association is $100.00 (plus $15.00 HST). Payment may be made to the PEIFA office in Charlottetown. While membership is voluntary, provincial legislation requires that all core fishers pay an annual support fee to the Association in the amount of $115.00, HST inclusive. Click here to read our by-laws.